This week, the U.S. Department of Interior and the National Park Service announced the recipients of the 2018 African American Civil Rights Grants Program. 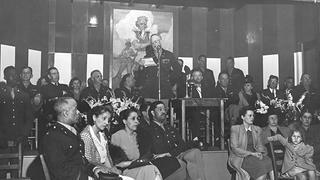 Among the grant awardees is the Mountain View Officers’ Club (MVOC), receiving a total of $500,000 to restore the building’s exterior and key elements of the Dance Hall inside to their 1942 appearance. As one of the last-remaining structures of its kind anywhere in the United States, the MVOC is central to understanding the complex history of the segregated African-American military experience and large-scale mobilization efforts as the U.S. engaged in World War II. 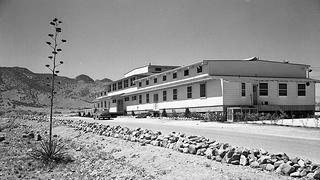 The current rehabilitation and reuse plan would transform the MVOC building and grounds into a first-class multipurpose facility within a distinctive historic setting that provides an array of options for the local Fort Huachuca and Sierra Vista populations, including: a place for military and civilians to relax at the end of day; a comfortable local spot for families and friends to have dinner on a regular basis; an upscale area for daily business meetings or lunches; and a flexible venue for cultural events and performances. Learn more about this latest news in Arizona Public Media. If you’d like more information on development opportunities or would like to make a contribution towards the restoration of the Mountain View Officers’ Club, please contact Christina Morris at cmorris@savingplaces.org. “We are strongly encouraged by the proposal and look forward to a great partnership with the National Trust as we work toward a bright future for this historic building,” said Col. James W. Wright, commander, U.S. Army Garrison Fort Huachuca. 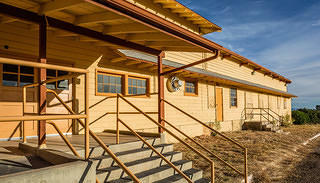 Today, ahead of Veterans Day weekend, U.S. Army Garrison Fort Huachuca and the National Trust for Historic Preservation announced a breakthrough partnership to find a new use for the Mountain View Officers’ Club (MVOC)—one of only two WWII-era African-American officers’ clubs in the country. The U.S. Army has conditionally accepted a rehabilitation and reuse proposal presented by the National Trust and local partners, which allows a National Trust-led coalition to move forward in exploring new partnerships, commercial leasing options and funding opportunities, including competitive government grants. 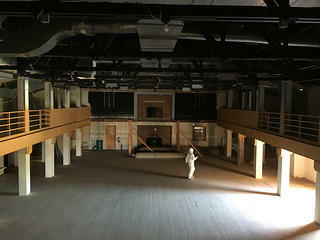 In the spirit of the original Officers’ Club, the proposal revives the historic building and grounds as a new full-time restaurant, bar, events, and catering facility that actively honors the history of the site while fulfilling pressing business and entertainment needs of the surrounding community. This would once again position the MVOC as an attractive destination for meetings, dining, recreation, and outdoor activities, and promote closer connections between Fort Huachuca, the City of Sierra Vista and Cochise County. Restores the building to its historic appearance in compliance with the Secretary of the Interiors Standards for Rehabilitation. Sensitively updates and expands the facilities to accommodate and encourage contemporary event, restaurant and recreational uses daily. Provides a canvas upon which the significance and stories of the MVOC, the African-American military experience, the Buffalo Soldiers, and Fort Huachuca can be shared with a large military and public audience. Creates a facility that will become a source of pride for Fort Huachuca, the Army and Sierra Vista. In addition to identifying opportunities for interested commercial investors across the region, the National Trust and partners are also looking beyond the private sector for funding sources. 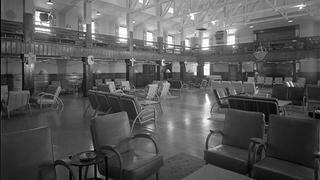 Most recently, Arizona State Parks and Trails applied for a $500,000 capital grant from the National Park Service’s African-American Civil Rights Fund, which would allow for the restoration of the building’s exterior to its 1942 appearance, as well as key elements of the Dance Hall inside. You can read the full press release here and download the revitalization plan here. 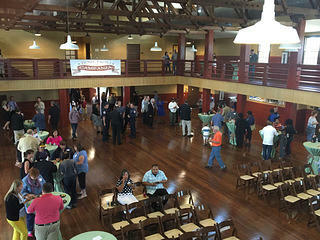 To learn more about future opportunities at the MVOC, please contact Chris Morris at cmorris@savingplaces.org. The MVOC National Treasure project team is comprised of professionals from: the National Trust for Historic Preservation; Arizona State Parks and Trails; the Southwest Association of Buffalo Soldiers; the Arizona Community Foundation; the Arizona Preservation Foundation; the Tucson Historic Preservation Foundation; Raytheon; the Arts Foundation for Tucson and Southern Arizona; Kadence Restaurant Group; Poster Frost Mirto; and the U.S. Army Garrison Fort Huachuca. 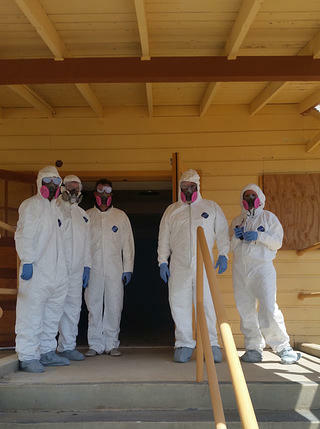 Things have started to pick up with the Mountain View Officer’s Club (MVOC) at Fort Huachuca! While the future of the building remains uncertain, we have had some very productive meetings over the last few weeks and are working with a great group of partners and allies toward saving this irreplaceable piece of African American military history. In April, the U.S. Army released a Request for Interest to identify a new use for the historic MVOC. The Army is seeking end users that can revive the building with an economically sustainable use. In response to the RFI, the MVOC National Treasure team has started important conversations with community leaders, preservation advocates, local government, and the Army, with the goal of developing a creative and economically viable proposal to save and reuse this important place. First, the MVOC Treasure Team traveled to Riverside, CA to visit Homefront at Camp Anza, a new veterans’ housing project built on a former WWII-era Army training camp. Thirty affordable housing units surround the former Camp Anza officer’s club which, coincidentally, is the same building model as the MVOC (many of these buildings were constructed during the WWII-era, but the MVOC remains the only surviving one connected to the African American Army). 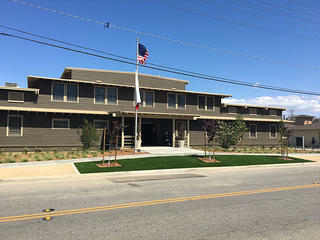 Seeing a need for supportive housing for veterans and their families, the City of Riverside rehabilitated the officer’s club as communal space for veterans’ services, recreation, and events. It is now a source of pride for the neighborhood and local veterans’ community, and a great model to show what the MVOC could soon become. Our team then headed to Tucson and Sierra Vista in Arizona to meet with local advocates and allies, including Jim McPherson of the Arizona Preservation Foundation, architect Corky Poster of Poster Frost Mirto, and NTHP Trustee Demion Clinco, to begin a series of conversations around a joint reuse proposal for the MVOC. We met with representatives from the Army, toured the MVOC, and had very encouraging meetings with community groups and local advocates. While we still have a few conversations to go, it was a fantastic and encouraging start to the next phase of the MVOC National Treasure campaign!